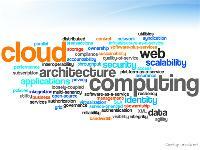 We specialize in Technology and Strategy relating to Cloud Computing. The firm is led by Managing Director David Bernstein, most recently former VP/GM of Cloud Computing for Cisco, and acknowledged inventor of the “Intercloud”. The firm also includes several other Cisco, Sun, and AT&T veterans. Additionally, we utilize a network of professionals to assemble subject matter experts, staff in different geographies, or implementation teams, to fulfill the needs of a project. Our deep capabilities and our connections in the industry are unparalleled. Together, Cloud Computing Partners LLC can deliver on all components of a Cloud Computing project for Governments, Service Providers, Large Enterprises, and applications developers, seeking strategy, standards, technology architecture, or even implementation assistance.